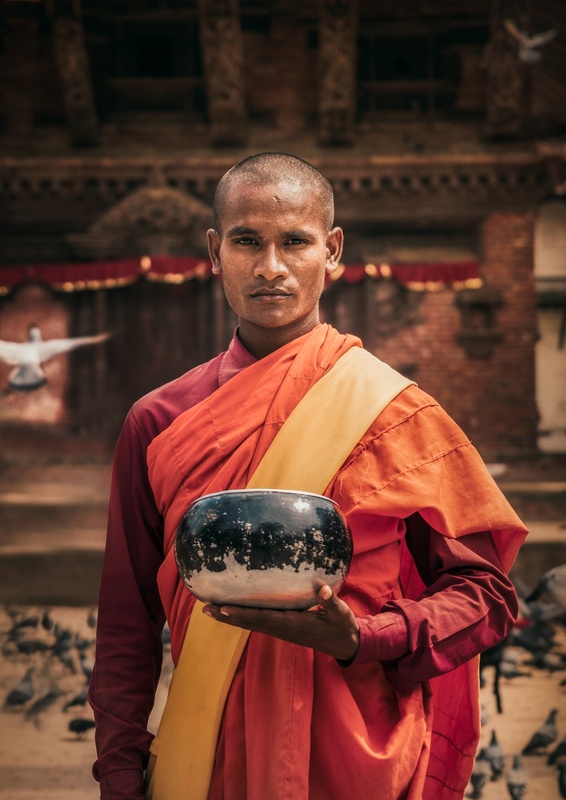 Nepal is all about Buddhism and Hinduism. There are lots of monks hanging around Kathmandu along with Hindu Holy men. I met this fella in Kathmandu’s Durbar Square, asked for a photo and gave him a couple of rupies. The square itself is pretty much in pieces and even though it’s worth visiting just for curiosity the 10 dollar entrance fee is a bit too much for what you get. As I heard Patan square is even more destroyed by 2015 earthquake and I skipped it. But in the end of the day they need to get the money for reconstructions somewhere so why not to join the good cause? Tip: There is a living Goddess living in Durbar Square. Check out the timetables because you can only see her during a few hours around noon. It’s forbidden to take pictures of her. She is 11 years old and will probably be replaced by another Goddess in a few years.